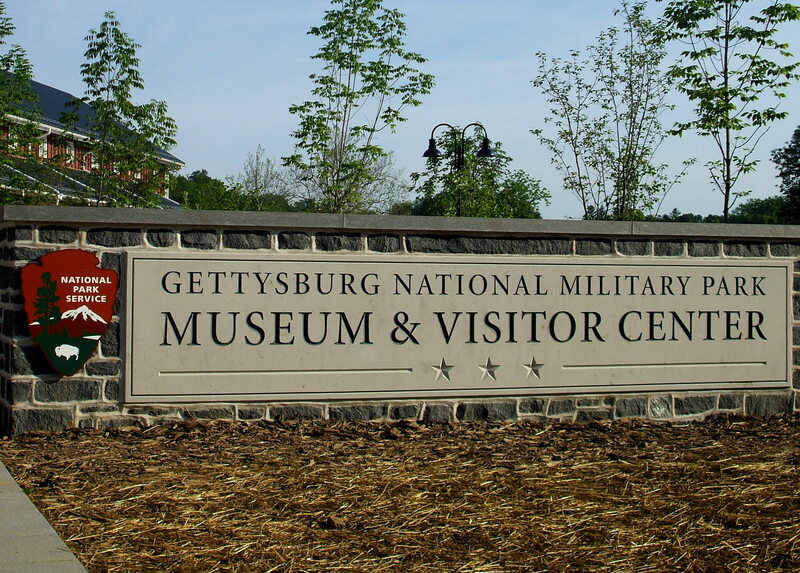 We advise starting a visit at the Gettysburg National Military Park Museum and Visitor Center. 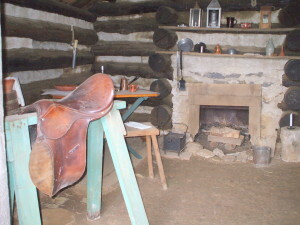 This is a great location to find out information about battlefield tours, ranger programs and maps; there is also a large bookstore and a small restaurant. An entrance fee is required for the museum which has excellent displays on Gettysburg and the Civil War, the fully restored Gettysburg Cyclorama and the film “A New Birth of Freedom”. Also available for a fee are shuttle buses that take visitor to the nearby Eisenhower National Historic Site. 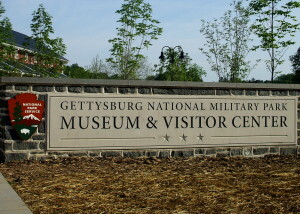 There are several different battlefield tours that can be arranged at the Gettysburg National Military Visitor Center. There are two different tours that are available by Licensed Battlefield Guides for a fee; one is the traditional bus tour (which is offered seasonally) and a private personalized guided tour in your own vehicle. 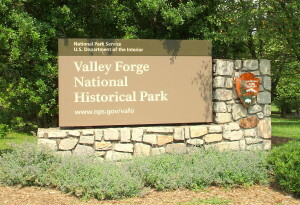 There is a self-guide tour available and the pamphlet with map and information can be picked up at the Visitor Center. Also, available for purchase in the Visitor Center bookstore is a audio tour CD. 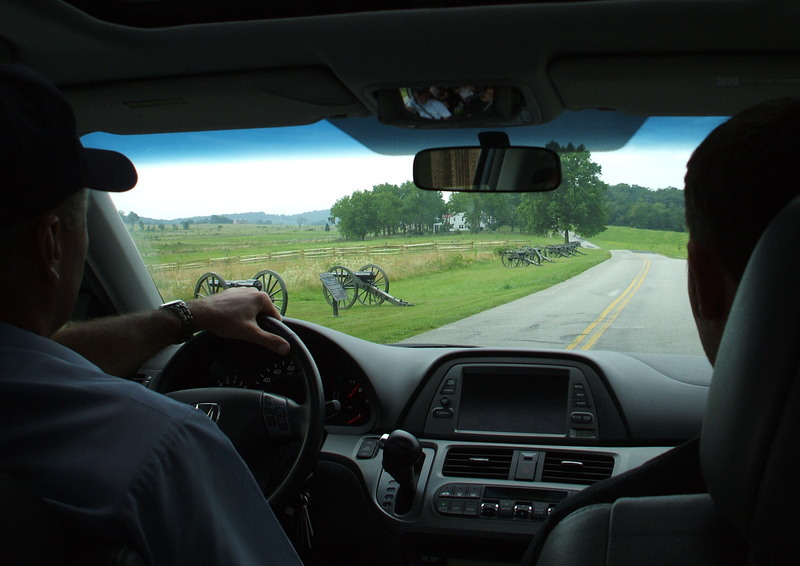 A Licensed Battlefield Guide will tour the battlefield with you in the privacy of your own vehicle for approximately two hours and the historical information provided by the guides is excellent. 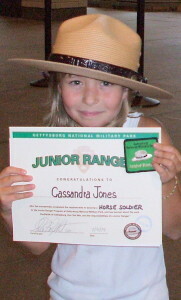 Guides are available at the Visitor center on a first come first serve basis starting at 8:00 a.m. Guided tours can also be reserved in advance if a certain day or time is required. Check the NPS website for fees and additional information. 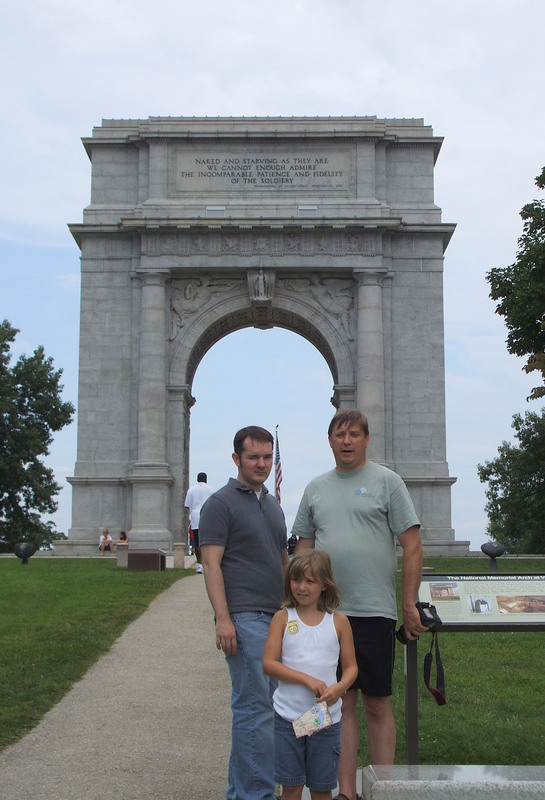 TRAVEL NOTE: We booked this tour in advance the two different times we visited Gettysburg. Both guides were very knowledgeable and we liked the idea that we could ask specific questions about the different aspects of the battle. Available March through September, these tours are for visitors who prefer not to use their own personal vehicle in the park. Please check the NPS website for time, fees and other information regarding the Guided Bus Tours. 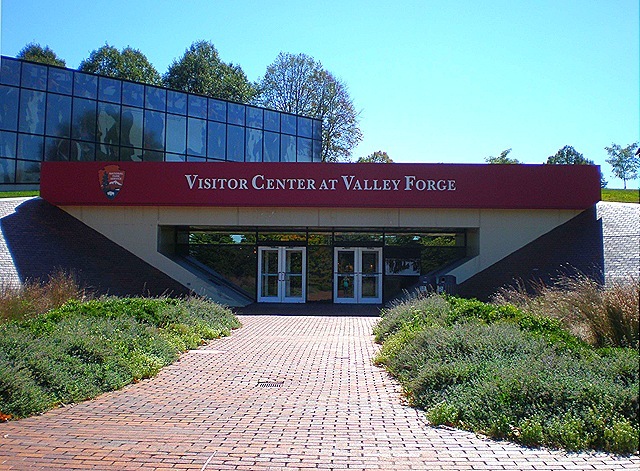 A self-guided auto tour is available at the Visitor Center. 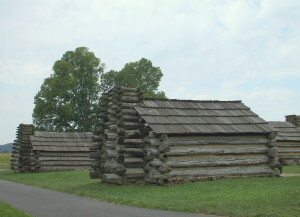 This tour will take visitors through the park with stops at important sites. There is no charge for this tour, it is free to visitors. The Audio Tour CD is available for purchase in the Visitor Center bookstore. The tour will give detailed descriptions of the battlefield as narrated by the Battle of Gettysburg historians. In the late 1800s a very popular form of entertainment was the Cyclorama, which were very large oil paintings on canvas that were displayed with enhanced landscaped foregrounds that included trees and shrubs and sometimes music or appropriate sounds would be included. Visitors would stand on a raised platform to look at the unique three-dimensional effects and it would seem as if they had entered into the center of some epic scene. When the cyclorama went their popularity died out, many of the large canvases were lost or destroyed. 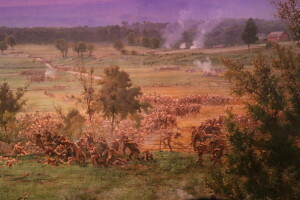 The “Battle of Gettysburg” Cyclorama on display at the Gettysburg Nation Military Park Visitor Center brings to life the dramatic final Confederate assault that took place on July 3, 1863. The canvas was painted by a professional cyclorama French painter, Paul Philippoteaux. He arrived in Gettysburg in 1882 and toured the battlefield with his sketchbook observing the details of the terrain and even interviewed veterans who were at the battle which offered their suggestions on how depict the chaos of the battle. It took Philippoteauz over a year to complete the project and the work opened to the public in Chicago in 1883 and he painted a second version which went on display in Boston in 1884. Twenty years later the Boston cyclorama was for sale and a Gettysburg entrepreneur purchased the large canvas and foreground props. Repairs were made and opened to the public in Gettysburg in 1913 on the 50th anniversary of the Battle of Gettysburg and it remained on display for forty years. 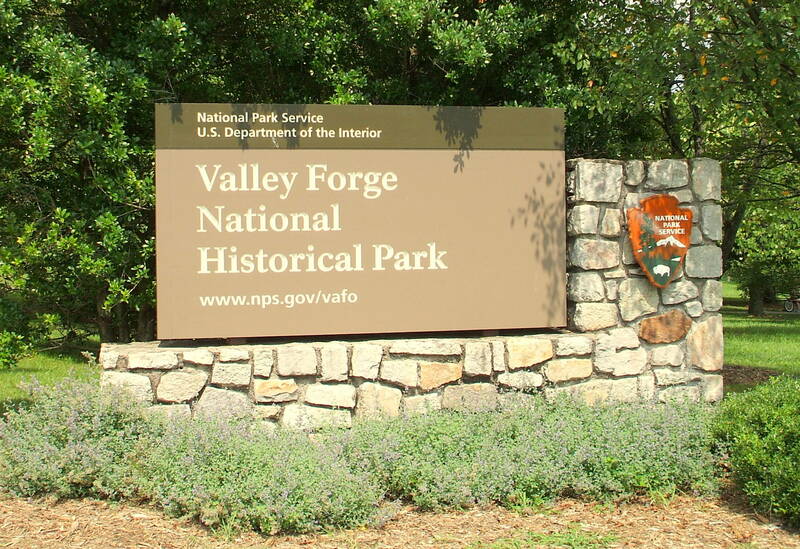 In the late 1940s, the National Park Service purchased the painting and moved it to the newly constructed visitor center in 1962. The Gettysburg Cyclorama is 377 feet long, 42 feet high and weighs 12.5 tons. Then in 2003, the Gettysburg Cyclorama underwent a thirteen million dollar renovation. After the work was completed the cyclorama was moved to the new Gettysburg National Military Park Museum and Visitor Center where it is displayed in its own viewing auditorium. The painting and restored foreground were opened for visitors on September 26, 2008 during the grand opening of the new visitor center. For visitors interested in historic sites, we would suggest a quick visit to the Soldiers National Cemetery. 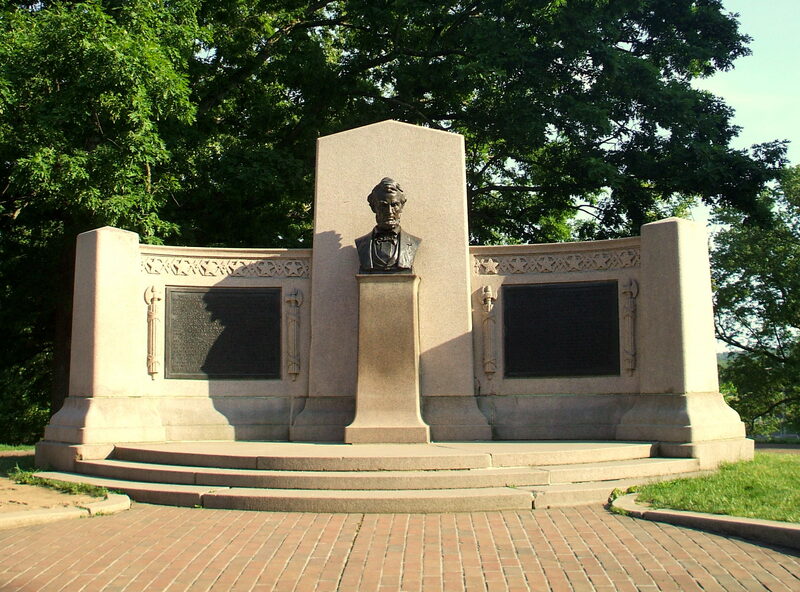 The Cemetery was dedicated on November 19, 1863 and is the place where President Abraham Lincoln delivered the famous Gettysburg Address. He was not the featured speaker that day and his speech was only two minutes long. Near the entrance to the Cemetery there is a large memorial to commemorate Lincoln’s Gettysburg Address but the actual site of the speech is farther inside the Cemetery grounds, look for a large plaque near the spot along the fence. 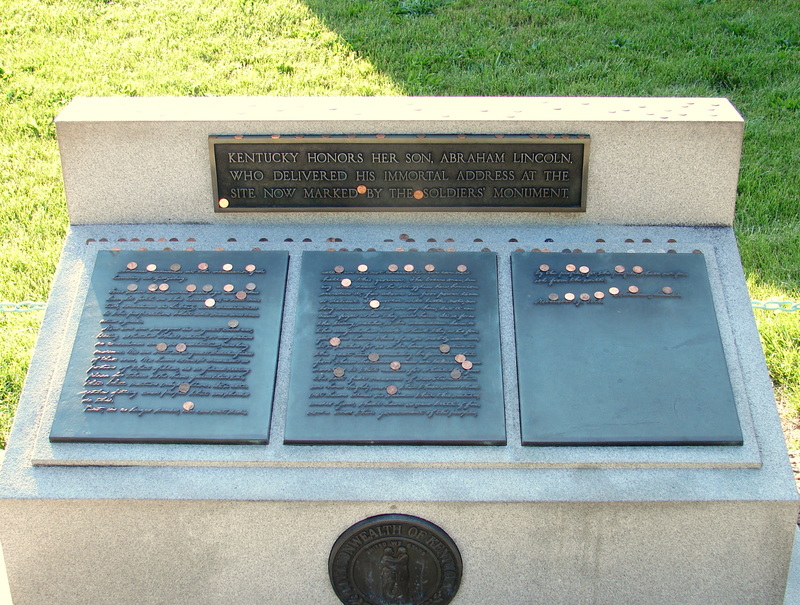 Also located on the path near the spot is a memorial commissioned by the state of Kentucky for their native son, visitors leave pennies as a tribute to Lincoln. 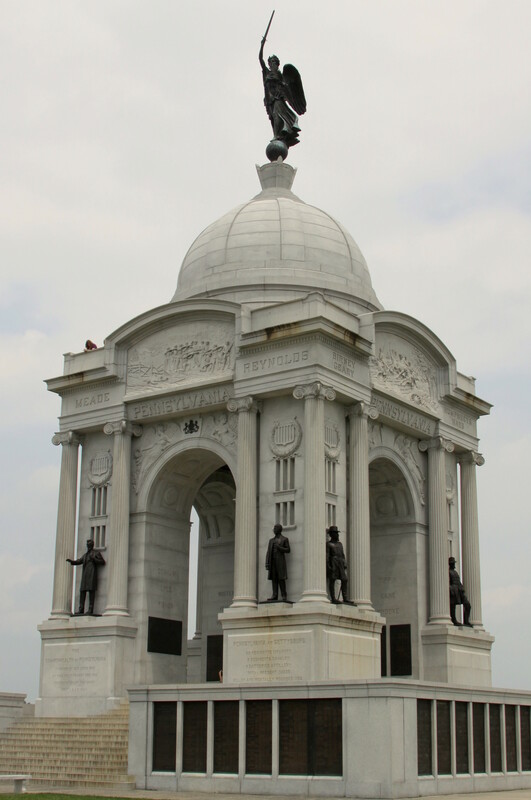 Travel Tip: Before visiting the Cemetery pick up a walking tour pamphlet which is available at the park information desk at the Gettysburg Visitor Center, which is located within a short walking distance from the Cemetery. 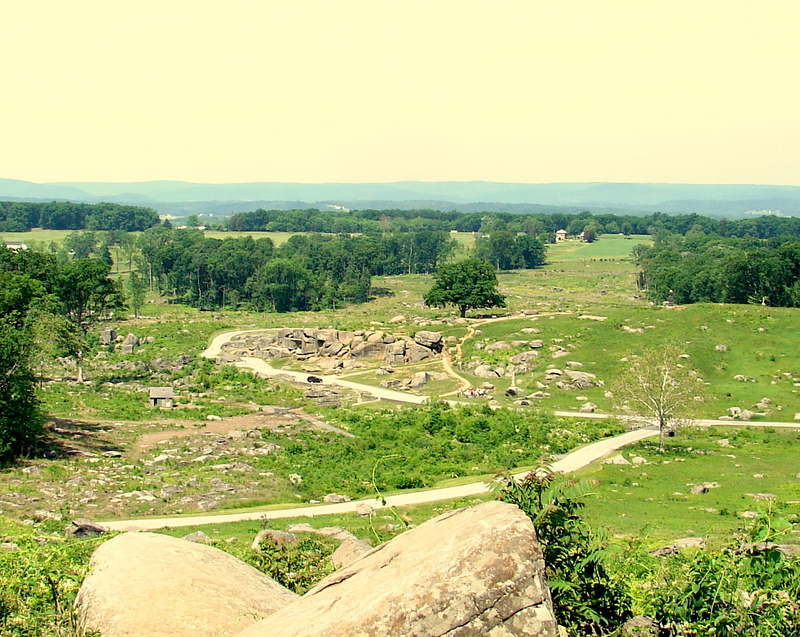 There are so many things to see and places to visit at Gettysburg. 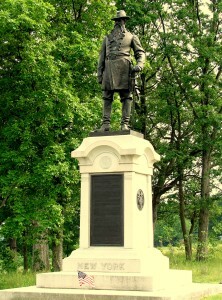 Memorials and statues are scattered around the battlefield and the surrounding area. There are books available in the Visitor Center bookstore that give the different locations and description of each of the memorials and statues – I’m sure visitors could spend hours just driving throughout the area to see them all! 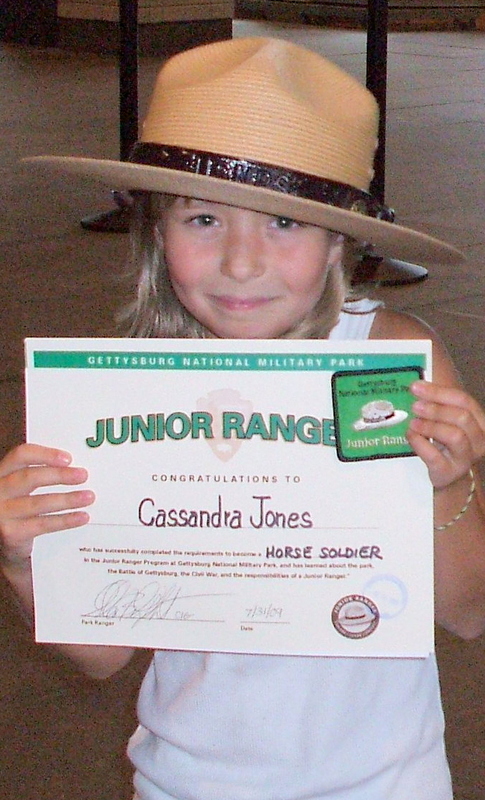 Visitors visiting Gettysburg with children should make a stop at the Visitor Center to get the Junior Ranger program information. This is a great way to keep the children occupied during their visit while they are accompanying their parents on the battlefield or visitor/museum complex. It is a great way for them to learn about the history of Gettysburg and the Civil War. Located near the town of Gettysburg is the historic building that General Lee and his staff occupied during the Battle of Gettysburg. There is a small museum which explains the history of the house and several displays of a private collection of Civil War memorabilia. 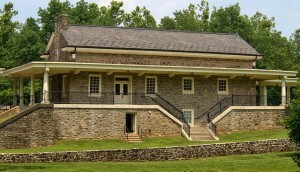 The building is open mid March to November with extended summer hours and there is an entrance fee required. 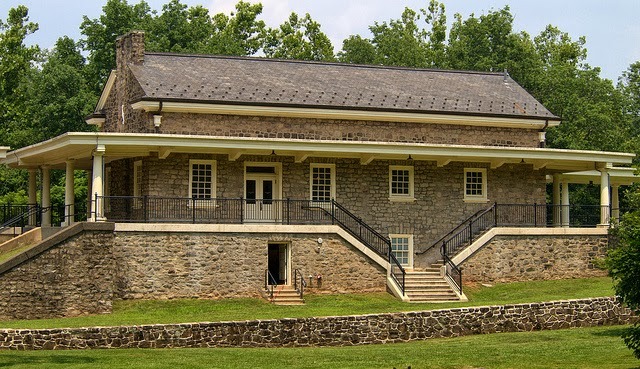 When President Lincoln came to Gettysburg for the dedication ceremony of the Soldiers National Cemetery, he arrived by train from Washington, D.C. and stopped at the Willis house, which was located near the train station. 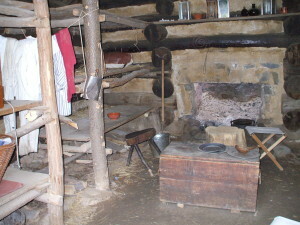 The Willis House opened to the public in 2009, house tours are offered. 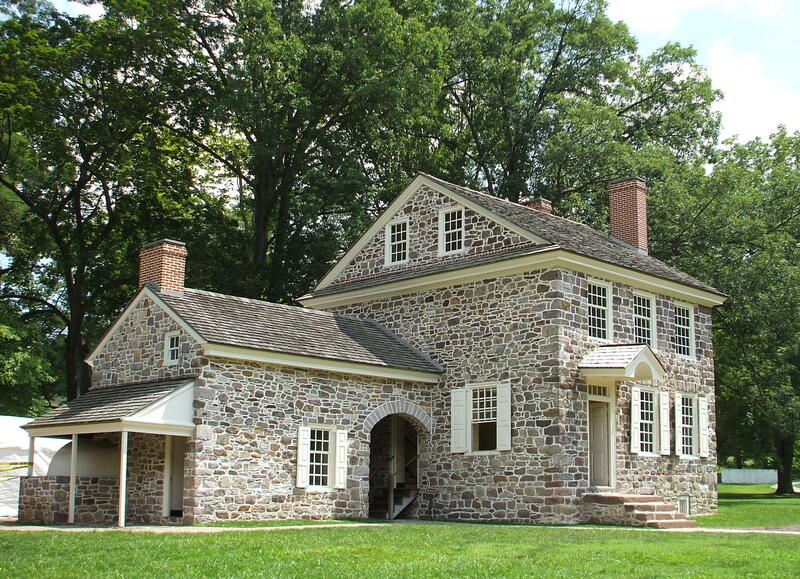 Visitors will see the office of David Wills, an attorney at the time of the Battle of Gettysburg, who received many letters from families looking for their loved ones and this prompted him to organize the plans to build the National Cemetery. Also the bedroom where Lincoln stayed the night before the Cemetery dedication putting the finishing touches on his Gettysburg Address. 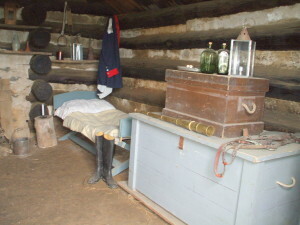 A unique tour of Gettysburg to take for adults and older children is one of the Ghost Tours that booked through private tour companies. These tours have become very popular of the years and offer a different perceptive of the Battle of Gettysburg. My husband and son took one of these tours on a night of a full moon and had a great time! The Battle of Gettysburg took place July1 to 3, 1863 during the Civil War and it is considered by many historians to be the largest battle ever fought on American soil. 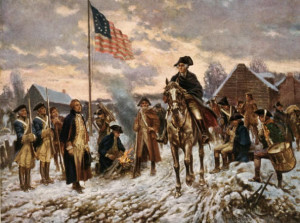 On the Union side there were 85,000 men of the Army of the Potomac under the command of Major General George Meade and for the Confederacy there were approximately 75,000 of the Army of Northern Virginia which were led by General Robert Lee. On July 1, Confederate forces approached the town of Gettysburg from the west and the north. They drove the Union soldiers back through the streets of town to Cemetery Hill. 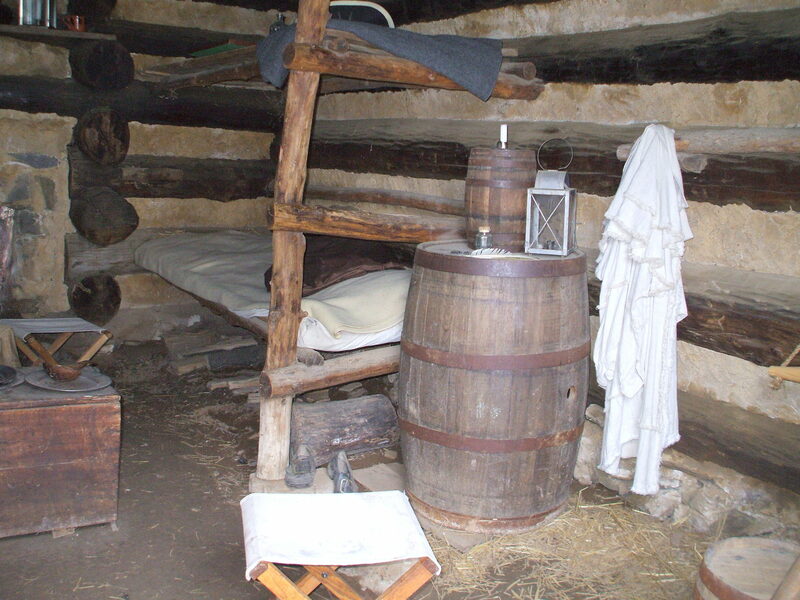 During the night, both Confederate and Union soldiers arrived as reinforcement. 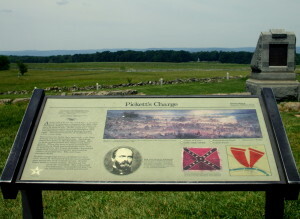 On July 2, General Lee attempted to engage the Union first by striking them on the left flank at the Peach Orchard, the Wheatfield, Devil’s Den and Round Top involving the Longstreet and Hill divisions. 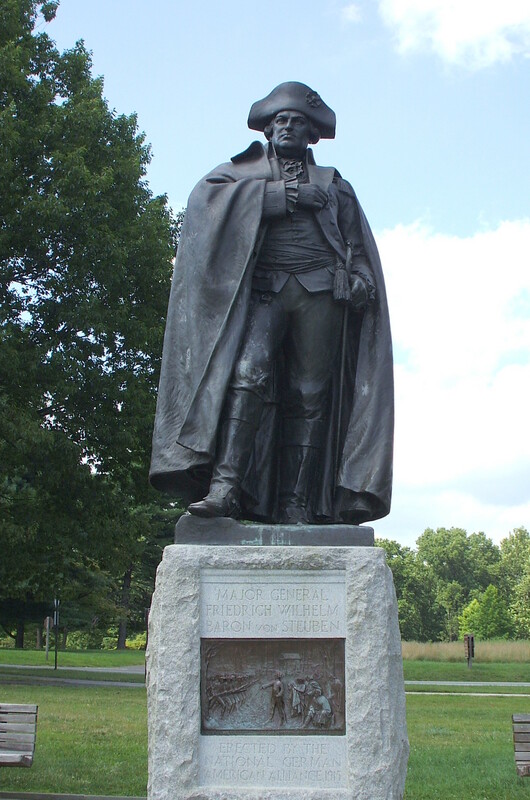 Then they attacked the Union on the right at Culp Hill and East Cemetery Hill. 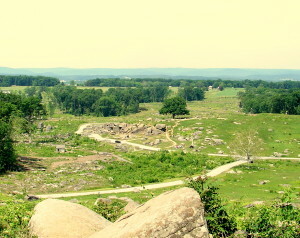 By nightfall, the Confederate had gained the ground at Little Round Top. During the morning of July 3, the Confederate infantry was driven from their hold on Culp’s Hill. Then in the afternoon, General Lee’s troops attacked the Union center on Cemetery Ridge. In an iconic assault which became known as “Pickett’s Charge, the Confederates momentarily broke through the Union like but were driven back with severe casualties. Later, Stuart’s cavalry attempted to gain the Union rear but they were prevented from completing the maneuver. The next day, General Lee withdrew his army and moved them away from Gettysburg and toward the Potomac River. 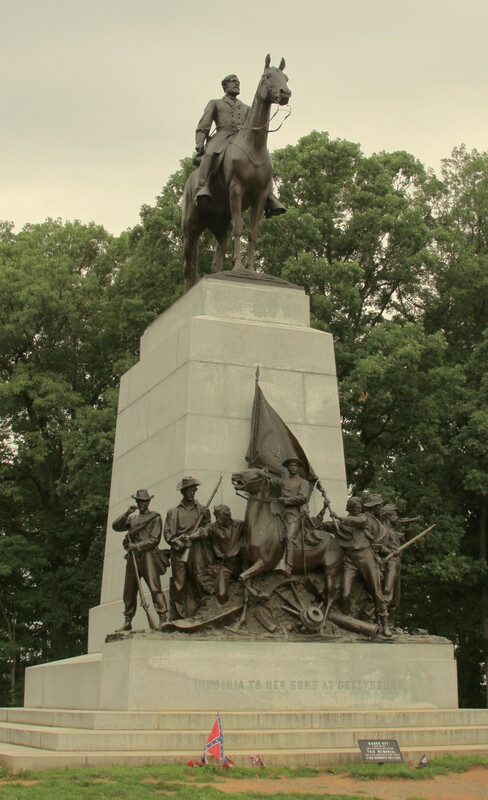 After the battle, the town of Gettysburg was devastated; public buildings and private homes were filled with wounded soldiers and the area surrounding the town were filled with both the Union and Confederate soldiers who died in the three day battle. Gettysburg residents became concerned with the poor condition of the soldier’s graves scattered over the battlefield and months after the Soldiers National Cemetery was established and dedicated on November 19, 1863. 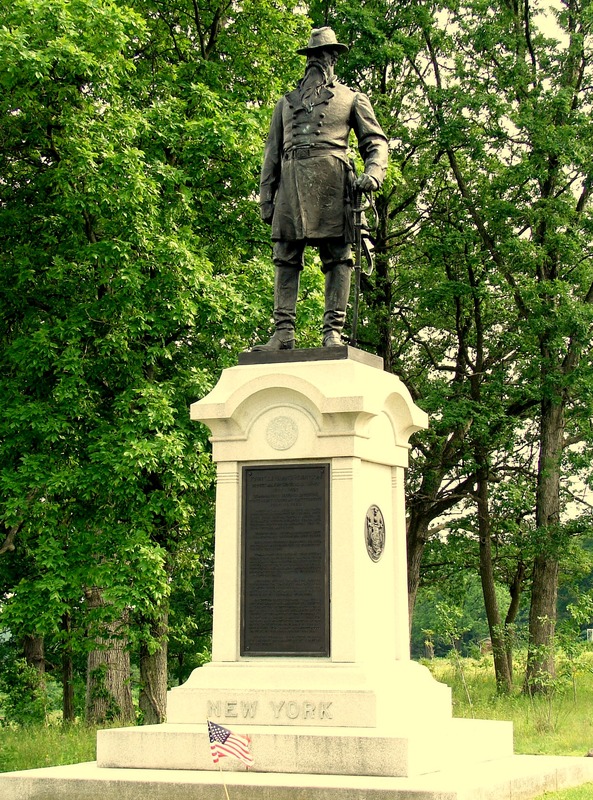 The Battle of Gettysburg ended with 23,049 casualties for the Union: 3,155 dead, 14,529 wounded and 5,365 missing. For the Confederates, there were 28,063 casualties (more than third of General Lee’s Army: 3,903 dead, 18,735 wounded and 5,425 missing. When the Union and Confederate battle entered the town of Gettysburg during the battle, a random bullet went through the door of a house instantly killing 20 year old Mary Virginia (Jenny) Wade, she was the only civilian killed. Abraham Lincoln’s Gettysburg Address was given at the dedication of the Soldier’s National Cemetery. The speech was very short and received very little notice at the time. Contrary to the popular legend, Lincoln did not scribble the speech on the back of an envelope of the train from Washington, D.C. to Gettysburg. Today, the powerful worded speech is now considered one of the best known public addresses in history. During a road trip to Gettysburg in 2008 we stopped in Hershey, PA. Hershey is the home of the Hershey Company and is sometimes referred to as “The Sweet Place on Earth”. 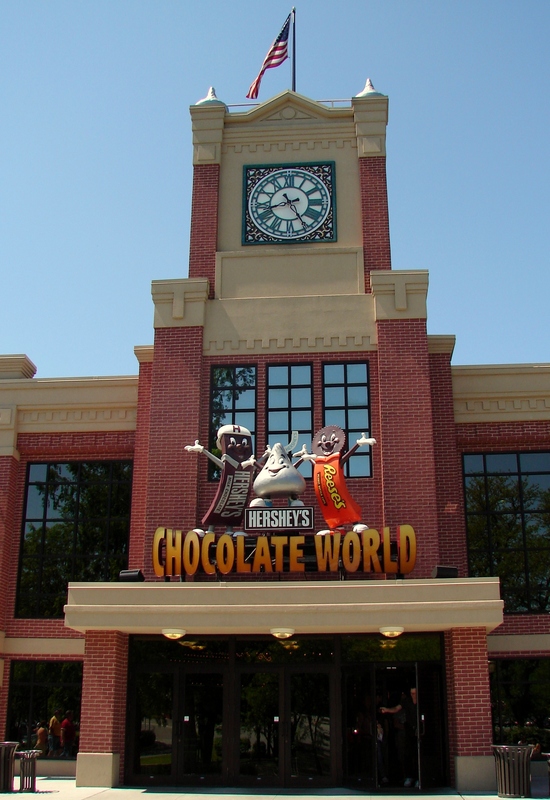 Hershey’s Chocolate World is open year-round and nearly 3 million visitors take the Chocolate tour. 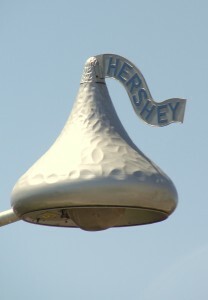 This attraction was opened in 1973 when the original Hershey chocolate plant tour reached capacity and was no longer able to handle the large number of annual visitors. Hershey’s Chocolate World has various shops selling Hershey chocolates and souvenirs. 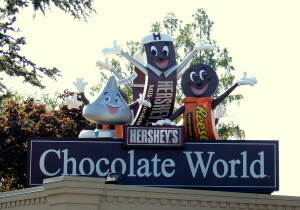 The main candy store has the world’s largest selection of Hershey brand products. If you are hungry, there are several different food choices in the Hershey’s Courtyard Food Court and Hershey’s Ice Cream Shop. 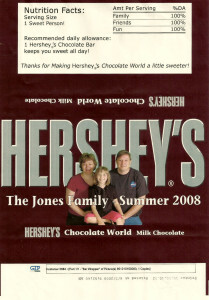 While we were at Chocolate World, we had our photo taken and the image was printed onto Hershey’s chocolate bar wrappers to make a great souvenir! We also purchased a cute Hershey chocolate bear for our daughter to add to her stuffed bear collection. 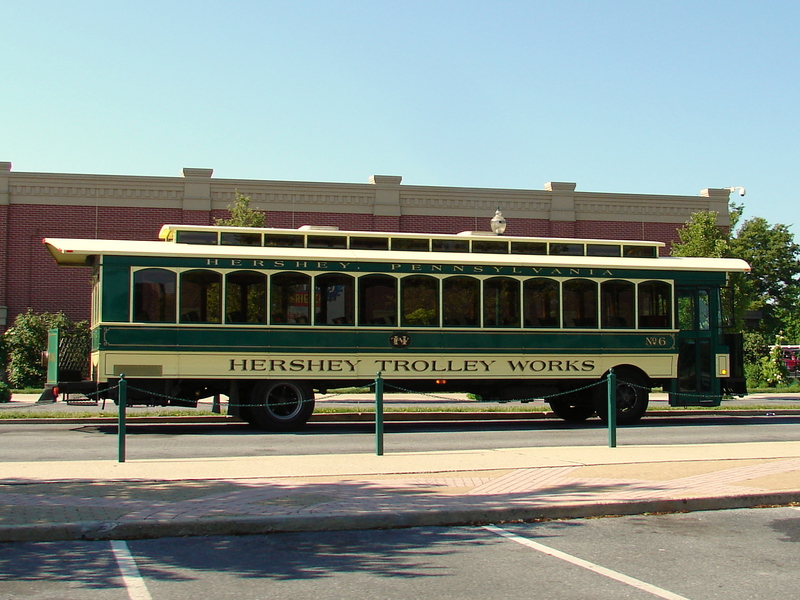 Before we left Hershey we took the Hershey Trolley. 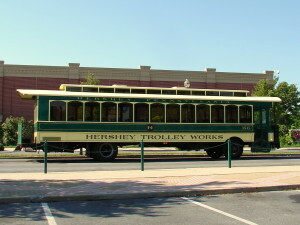 Since 1988 this green trolley takes visitors on a 60 minute round-trip tour of the town of Hershey. The singing conductors tell the history of Milton Hershey’s chocolate company and point out the interesting historical sites. 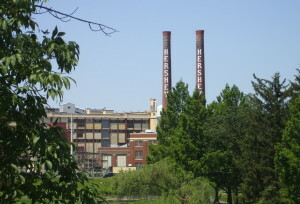 High Point – The home of Milton Hershey was built in 1908 overlooking the original chocolate factory. The residence features 22 rooms, as Hershey was a humble man, their home is less ornate than the homes built by the other Hershey executives. Today the home is used as the offices for the Hershey Trust Company. 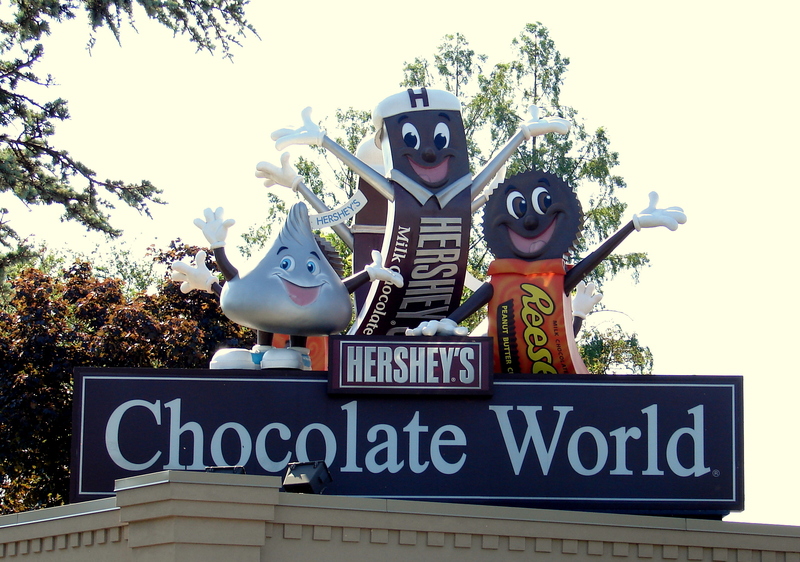 The original Hershey Chocolate Factory – The Hershey Company has the largest chocolate factory in the world. The original factory started construction in 1903 and was completed in 1905, it has grown from the original six acres to 2.2 million square feet today. The red barberry bushes outside the factory spell out “Hershey Cocoa”. The Milton Hershey School – Milton Hershey and his wife, Kitty, had no children of their own. The home and school for orphan children were founded in 1909 and housing, meals, clothing and medical/dental care are provided free of charge to students. The Hotel Hershey and Spa – Built in 1930 to accommodate the growing number of tourists to the area, the Hotel Hershey offers “elegance without pretense” in their 276 rooms. Located within the facility is their luxurious spa, known as the “Chocolate Spa” because guests can experience exotic and innovative treatments, like the Whipped Coca Bath, Chocolate Bean Polish and the Chocolate Fondue Wrap! Milton Hershey (September 13, 1857 – October 13, 1945) founded the Hershey Chocolate Company in 1894 and it is the world’s largest chocolate manufacturer. He is also known for his philanthropic work and founded the Milton Hershey School which is a full funded home and school for orphan children. Hershey was raised in rural central Pennsylvania, had a very limited 4th grade education and nearly went bankrupt a couple of times. 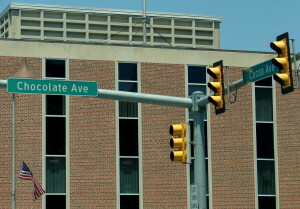 As a teenage boy in Lancaster, PA he served a four year apprenticeship with a local candy maker. In 1876, he made an attempt to start his own candy business in Philadelphia and despite six years of hard work it failed. Hershey then moved to Denver, CO and found work with a confectioner who taught him how to make caramels using fresh milk. He tried starting another candy business in New York City but this new venture also failed. 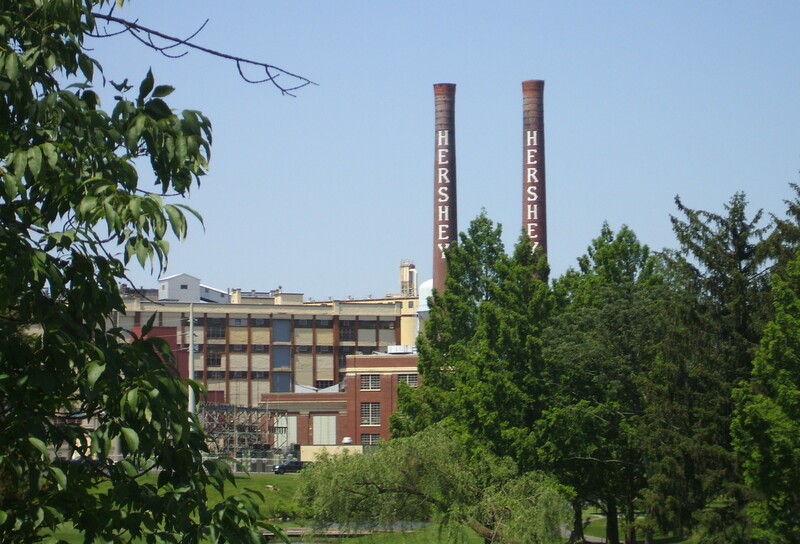 Returning to Lancaster in 1886, Hershey established the Lancaster Caramel Company and finally he had success business. While attending the 1893 World’s Columbian Exposition in Chicago, Hershey became fascinated with the process of making chocolate. He purchased the machinery used by a German company at the exposition and shipped everything to Lancaster to make chocolate coatings for his Lancaster Caramels. For the next few years he experimented with various recipes for making quality milk chocolate. 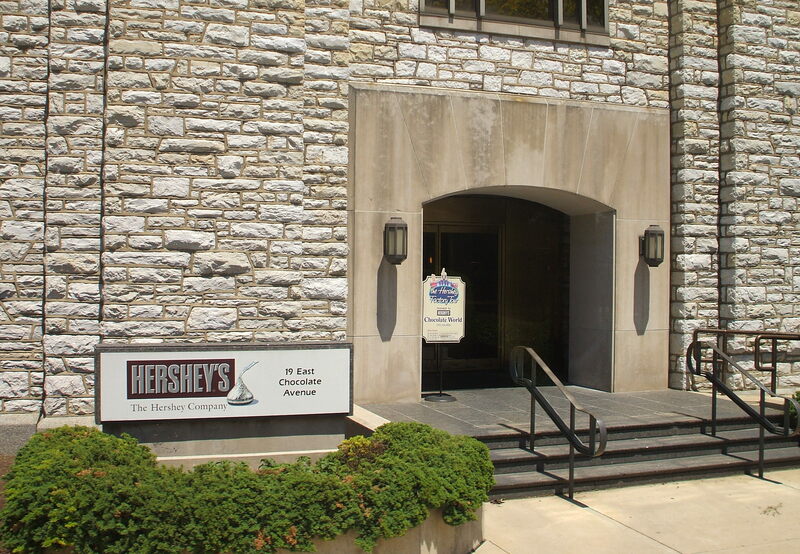 In the process, Hershey realized the growing consumer demand for chocolate and developed a system of mass production and distribution to market his Hershey Chocolate bar. He sold the Lancaster Caramel Company in 1900 for an enormous sum at the time of $1 million. With proceeds from the sale, Hershey was finally ready to establish his most successful business venture. 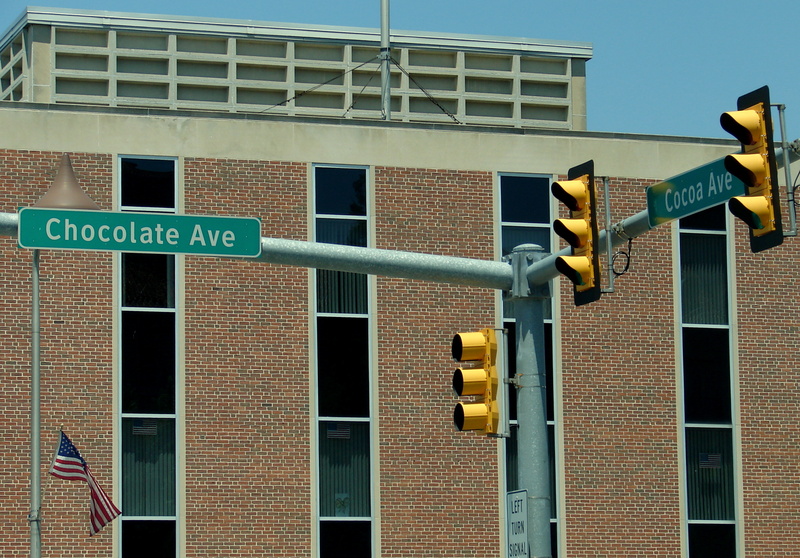 In 1903, he found a suitable location for his Chocolate factory in nearby Derry Township and started construction. This area was surrounded by local dairy farms to supply fresh milk and several port cities were convenient to provide shipments of cocoa beans and sugar needed for his chocolate production. In 1898, Milton Hershey had married Catherine Sweeney, known as “Kitty”. The couple had a very happy marriage but sadly they were unable to have any children. The couple decided that if they could not have children of their own, they would become the benefactors to those orphan children that needed help. In 1909, Hershey signed the Deed of Trust establishing the Hershey Industrial School, later renamed the Milton Hershey School. After a lengthy and debilitating muscular disease, Kitty died from pneumonia in 1915. In 1918, honor of his beloved Kitty, Hershey transferred the majority of his considerable wealth to the Hershey Trust. A heartbroken Hershey never remarried and spent the next thirty years continuing to build his company and the Milton Hershey School. He died in 1945 at the age of 88 and is buried at the Hershey Cemetery alongside his wife. The first Hershey’s Chocolate Bar was created in 1900, followed by Hershey’s Kisses in 1907 and the Hershey’s Chocolate bar with almonds in 1908. Other products followed including the Mr. Goodbar (chocolate and peanuts) in 1935, Hershey’s Syrup in 1926 and the Krackel (chocolate and crisped rice) in 1938. In 1912, the Hersheys were scheduled to return to Pennsylvania after an extended European vacation on the ill-fated RMS Titanic. They canceled their reservations when Kitty became ill and booked passage later on another ocean liner. The Hershey Museum displays a copy of the check Hershey wrote to the White Star Line for a deposit for a first class stateroom on the Titanic. 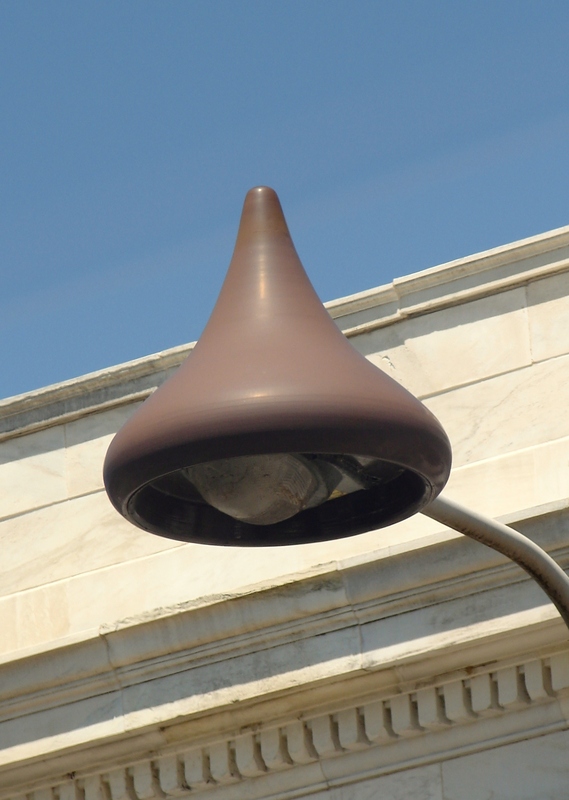 The Hershey’s Kisses got its name when the machine that produced them made a “kissing” sound when the chocolate mixture was dropped onto the conveyor belt. The Hershey’s Kisses were originally wrapped by hand with aluminum foil and a paper strip was included to guarantee a genuine Hershey product until 1956 when the process was automated. Over 24 million Hershey’s Kisses are produced at the Hershey Chocolate plant in a single day! Harry Reese, a dairyman, began working at the Hershey factory in 1921. 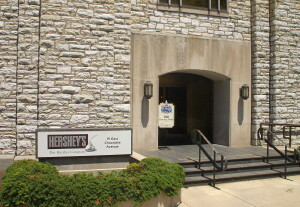 By 1925 he had developed an assortment of candies and with Milton Hershey’s permission he started selling them in Lancaster, PA. Hershey and Reese continued to have a good relationship and in an agreement with Hershey, stipulating that he was required to label his candies as “made in Chocolate Town”, Reese left and built his own company and factory in 1926. With the sugar rationing during World War II, Reese limited his candy line to only the Reese’s Peanut Butter Cups. After Reese died in 1956, his company was sold to the Hershey Chocolate Corporation in 1963 for over $23 million.